In 2017, Hurricane Maria brought destruction and more than 3,000 deaths to Puerto Rico. In 2018 Hurricanes Lane, Florence, and Michael, killed more than 100 people and made thousands of others homeless. We can’t change the weather. But there are better ways to respond to these types of disasters. And the easiest fix is getting rid of the Jones Act. The Jones Act is a shipping regulation included in the Merchant Marine Act of 1927. The law requires that ships delivering supplies from the U.S. mainland to our islands, territories, and states be assembled and maintained in the United States. At least 75 percent of the crew must be American citizens, and each ship must be registered in the United States and owned by U.S. companies. Congress passed the law almost a hundred years ago with good intentions. Its purpose was to protect the American shipbuilding industry, its union workers, and our shipping lanes. But the world has changed a good deal in the last century. Banning foreign ships from delivering supplies from the American mainland to other American territories obstructs our disaster relief operations because an old and depleted fleet of Jones Act-eligible ships has to perform the entire lift. This causes delays and price increases during natural disaster recovery. During disasters, Congress and the president frequently waive the Jones Act in order to deliver aid. (During Hurricane Maria, President Trump waived the law to speed up support for Puerto Rico.) But these short-term waivers expire long before the relief and rebuilding processes are complete. And it’s not just disaster relief that’s hampered by the Jones Act. It costs 3 to 5 times more to ship oil from the Gulf Coast to New England than it does to ship the same oil to Europe. Because of the Jones Act. This year the state of Massachusetts asserted that “no Jones-Act qualified carriers” were available to ship gas to the Northeast. Governors from all six New England states—three Republicans and three Democrats—came together to request a Jones Act waiver. And it’s not like the Jones Act is still protecting America’s shipbuilding industry. Since World War II, we’ve lost about two-thirds of our eligible shipyards and almost 95 percent of qualified ships. Jones Act-compliant ships are eight times more expensive than their foreign competitors. When the numbers are that big, no government is going to be able to make up the difference. In the end, the market simply moves elsewhere. 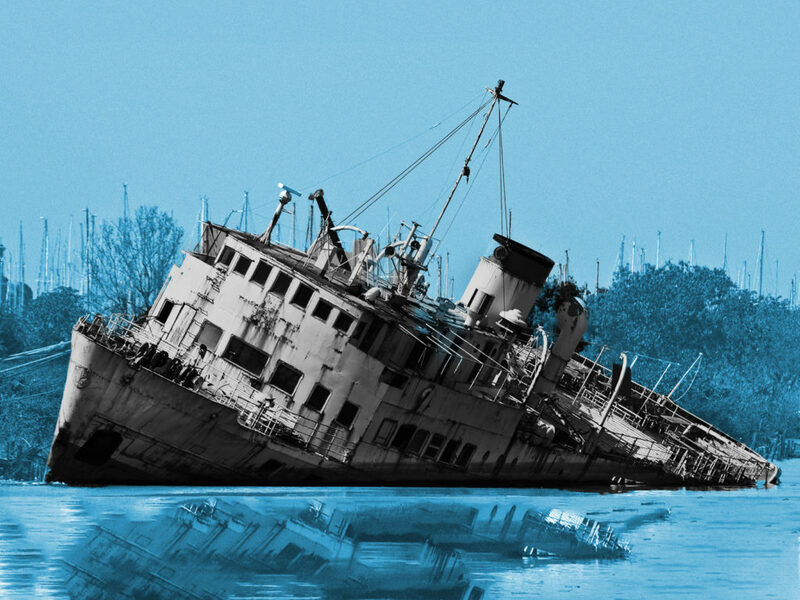 In March, Mike Lee introduced the“Open America’s Water Act of 2019,” which would repeal the Jones Act. It would allow all qualified vessels, both foreign and domestic, to trade between U.S. ports, so long as they cooperate with the security measures already in place. There’s no reason this shouldn’t be a bipartisan issue. Republicans can focus on the projections that eliminating the Jones Act could create an annual economic gain of between $5 billion and $15 billion. We don’t get many win-win situations these days in politics. We should take them where we can.